Saturday, Loki had a vet appointment. He's all healthy - and they were excited to see him. Seems that their vet tech volunteers at the shelter 2 towns over (where we got Loki); he whelped out the mother. So, Loki kinda came "home". :lol: He was such a good boy while there! He now weighs 17 pounds, and is just a bundle of cuteness and mischief! SG ordered a part for his lathe - some sort of chuck for turning bowls and stuff. Rockler was right across the street from store #2, so we stopped in. They wanted $159 for a chuck.....we found one online for $89. WITH a few more accessories. I try to shop local, I really do - but with savings like this, I'm beginning to wonder WHY I insists on doing so. 10 dyepots in total. (The black were both done in the same batch). 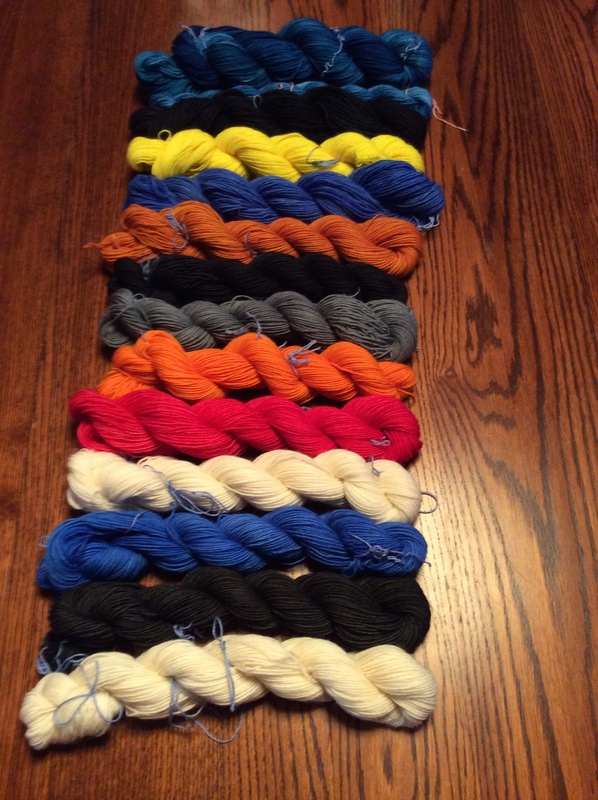 The top is the "final" Peacock color way, the smaller skein is for the embroidery on those socks (me); the black and fluorescent yellow are for a pair of Radioactive socks (Herself); the next 5 skeins are for a pair of Dalek socks (Herself) - I still need to dye a regular yellow, and the orange was supposed to be a golden brown; the Red/White/Blue is for a pair of Texas Rangers socks (me); and the chocolate/white skeins are for a pair of Sherlock socks (me). 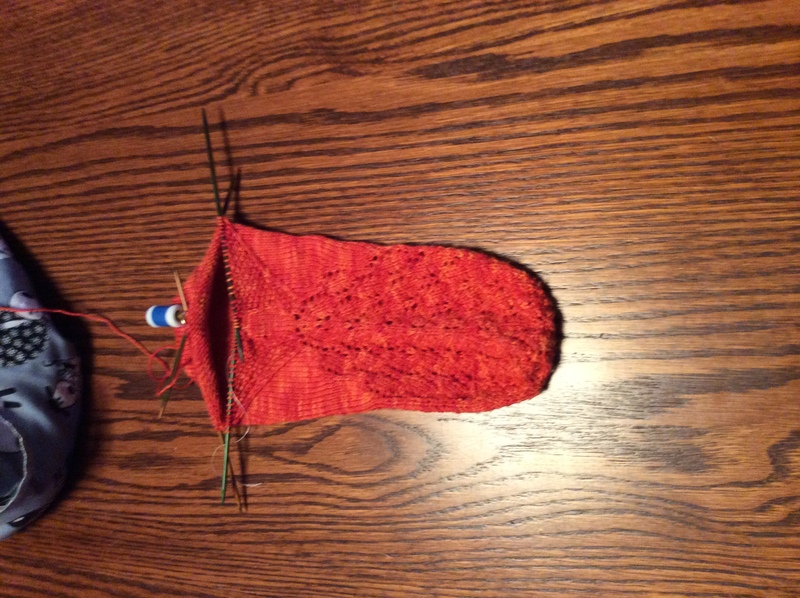 The pattern calls for a short-row heel with wraps.....I hate short-row heels with a passion, because I ALWAYS get holes at the point of turning. 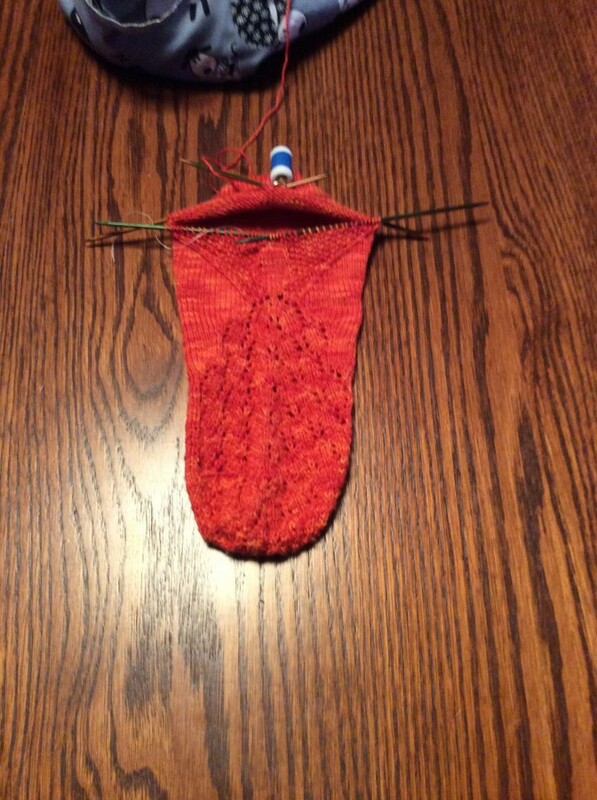 I decided to try the technique touted by Pricilla Gibson-Roberts; she uses yarn-overs at the point of turning. 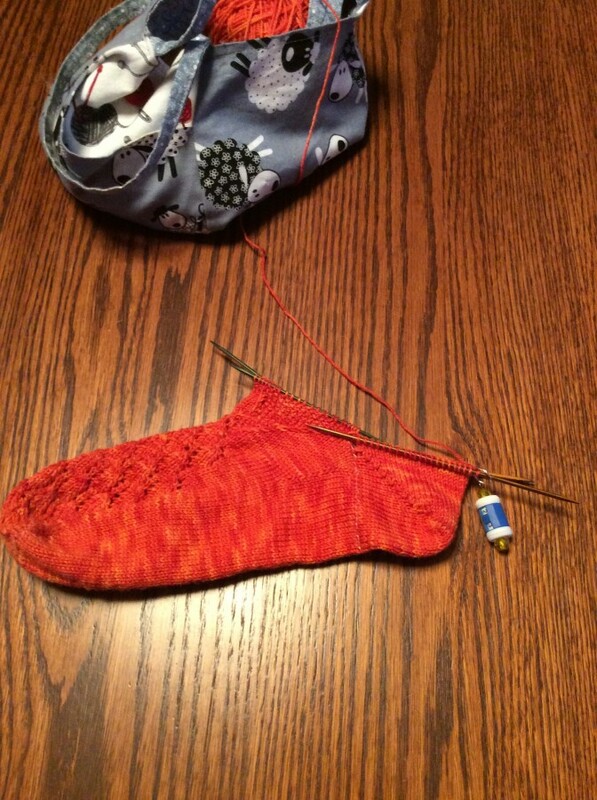 It sounds totally off-base - deliberately putting a HOLE at the turning points - but it worked! Eventually. The first attempt looked *horrible*. I said a few things, ripped back to the lifeline, and tried again. I don't know what I did differently, but it worked the 2nd time and actually looks nice. And - NO holes! 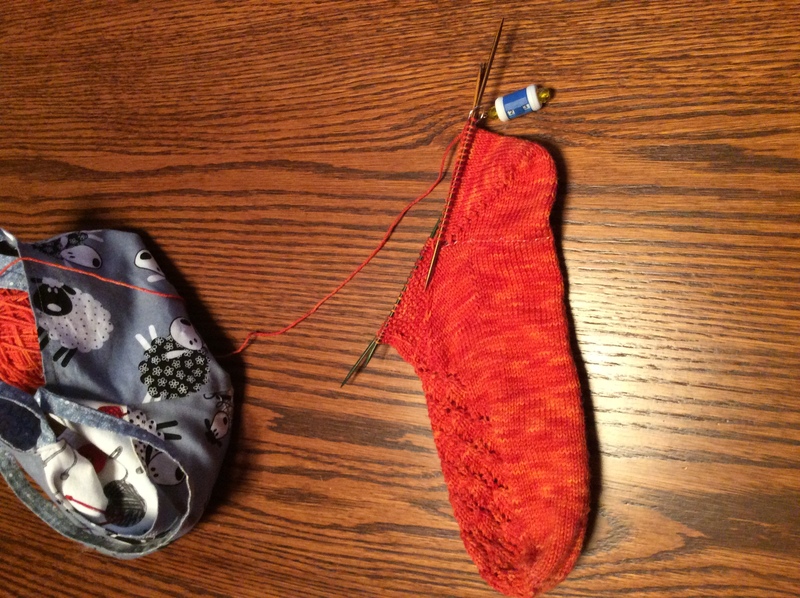 We'll see how this sock fits...but SG needs this type of heel, so now I have a good one in my "tool box". This entry was originally posted at http://fiberaddict.dreamwidth.org/814688.html. Please comment there using OpenID.